Increasingly, organizations are recognizing the need for a diversity of support in their infrastructure. They’re facing new challenges every day in trying to support mesh wireless, transient users, and meet the security challenges that go along with it. In addition, as employees continue to seek out best of breed solutions for individual tasks, today’s networks face are far from unified networking environment. DS Tech lets organizations be proactive in managing their infrastructure. This means reduced costs, better security, and a network that’s more aware of who and what is connecting to it. 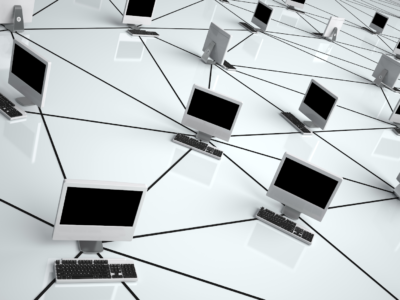 Organizations need to be alerted when a new device is coming onto the network. DS Tech helps an organization scan a device to make sure it’s not bringing with it security risks, and establish proper security measures for access control levels, including the separation of employees from guests. DS Tech can identify which devices are using the lion’s share of an organization’s bandwidth, and make infrastructure changes to accommodate the changing needs of the BYOD user. “A business should be able to focus on what it does best and our solutions free up businesses to do just that. By bringing proactive infrastructure management to the BYOD environment, our clients enjoy greater efficiency, security, and agility. A more efficient network means that our customer’s technology is running to its fullest capacity. When we’re increasing overall productivity our customers are dropping more to the bottom line and that’s how we know that our customers have a leg up on their competition,” stated Eric Wakkuri, Vice President of DS Tech.